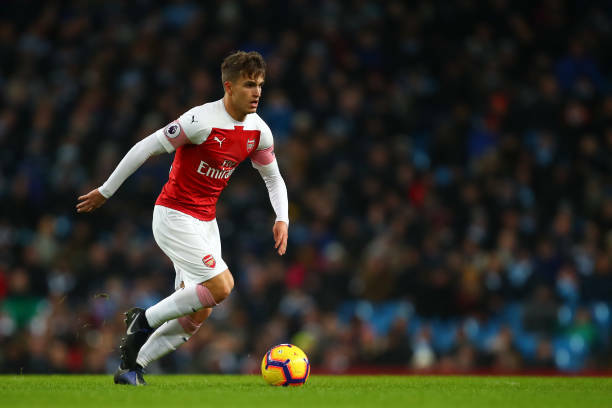 Unai Emery has hinted that Denis Suarez is in line to start when Newcastle United make a trip to the Emirates Stadium on Monday night. The Spanish international emerged the Gunners' only signing in the winter transfer window despite the call for reinforcement in some other major areas. His half-season long loan deal from Barcelona has not made any meaning so far because since his arrival in January, he has not started any competitive game, with his only start coming against Al-Nasr in Dubai on Tuesday. Fans raised questions as to why Suarez has managed to get only six appearances, all as a substitute, and in a recent revelation, football journalist, Julien Laurens, said his omission was due to his inability to impress in training. This assertion looks to have been validated by Emery who when asked of how the player is faring stated that he is now set to start after proving himself in the friendly match where he set up a goal for Carl Jenkinson. "He is OK for starting in the first XI, to give us this impact," Emery said of Suarez in his pre-match press conference ahead of Monday night's match with Newcastle. "We are going to need everybody, every player for the next matches. "We decided to go away to train for four days and play a match in Dubai. But it's the same idea, the same spirit." It is not strange to see foreign players struggle to adapt to the intensity of the Premier League. The Arsenal boss being aware of this backed Suarez by tagging his case 'normal' when asked. "It's normal. Now we have a lot of players ready, with a big mentality and with a big performance to play and help us," the former Sevilla and PSG boss added. The 25-year-old's future at Arsenal is still unknown. They have got the option to sign him permanently if they so wish but indications so far have not given any hopes that such will happen. The fight for a top-four finish continues on April Fools Day. The game against Rafael Benitez's side will go a long way in defining Arsenal's season.